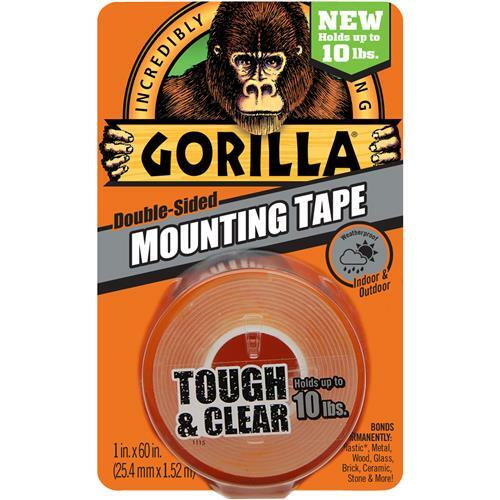 Gorilla Glue 606501 - Mounting Tape, 60"
Gorilla Mounting Tape is tough and clear and mounts in an instant, for a long-lasting, weatherproof bond. The crystal clear adhesive won't yellow over time, and holds up to 10 pounds! 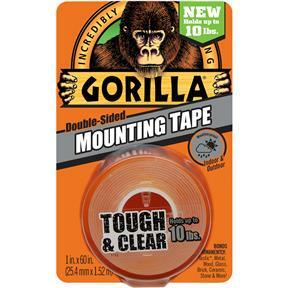 Gorilla Mounting Tape is perfect for indoor and outdoor projects and sticks to smooth and rough surfaces. Completing DIY projects is easy with Gorilla Mounting Tape – without ever touching your tools. Mount, build, and repair for a perfect finish, every time. 1" tape in 60" roll.